Winter is right around the corner! Kick-off every snowmobiler’s favorite season at the 48th annual Sno Barons Hay Days grass drags and swap meet September 6-7 in North Branch, Minnesota. Tucker will be on site all day Saturday hanging out and signing autographs! 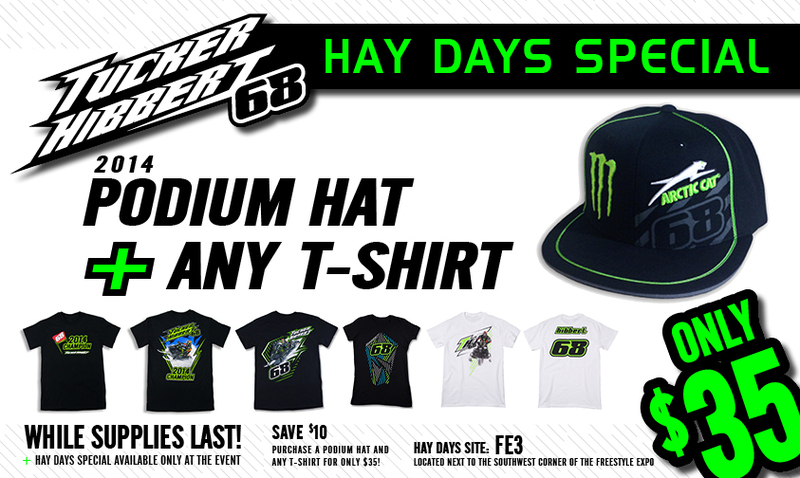 • Get an autograph and take advantage of the Hay Days specials on 68 gear! • Enter to win FLY Bucks and a F2 Carbon helmet! Tucker will draw the names of the winners at 11 am. You must be present to win.